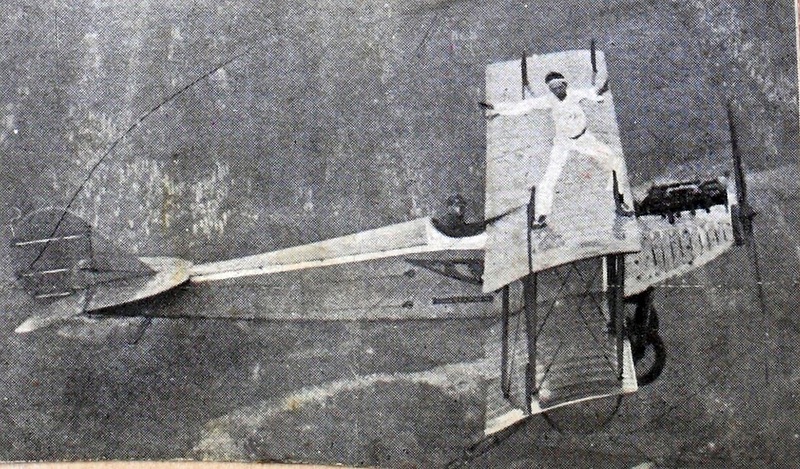 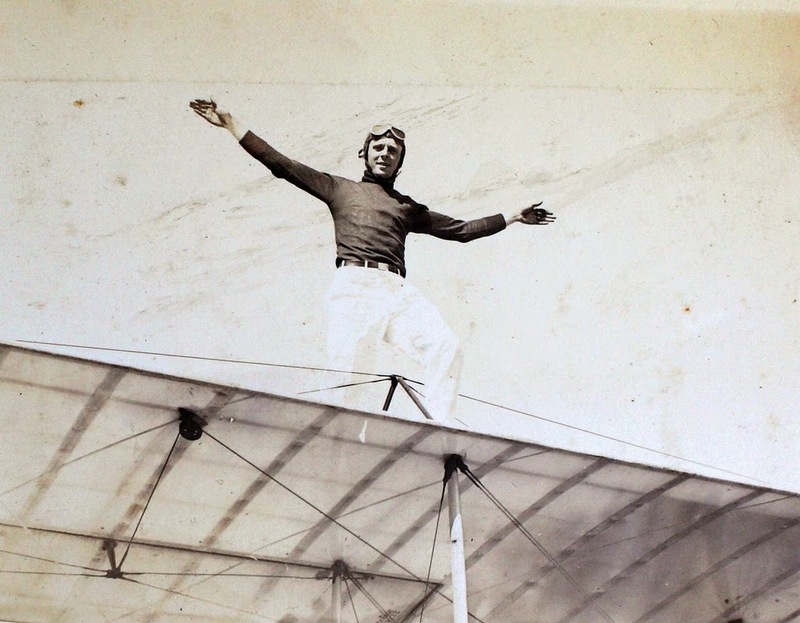 Wing walking, of course, is one of the crazy stunts pilots got up to in the earlier days of aviation. 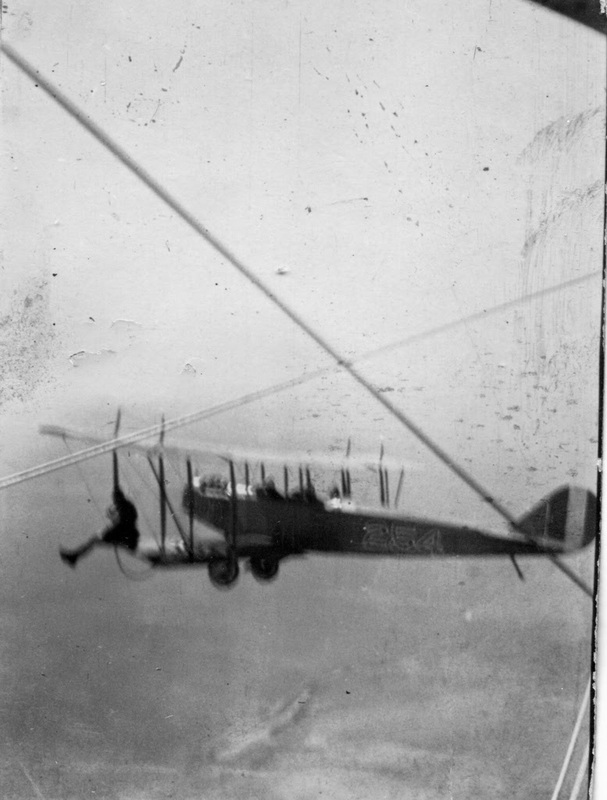 It is still done sometimes, but with wires and straps and thing to make sure the practitioners won't die. 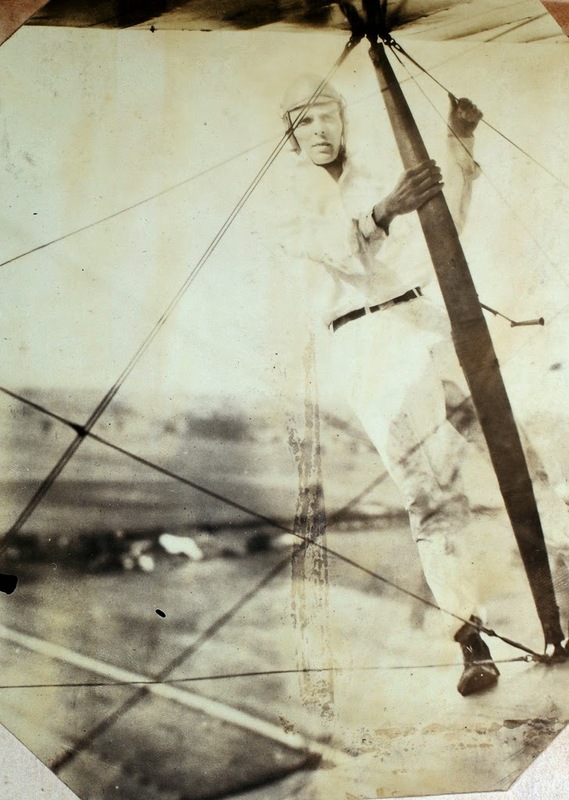 Back in the days these photos were taken, there were no such safeguards. 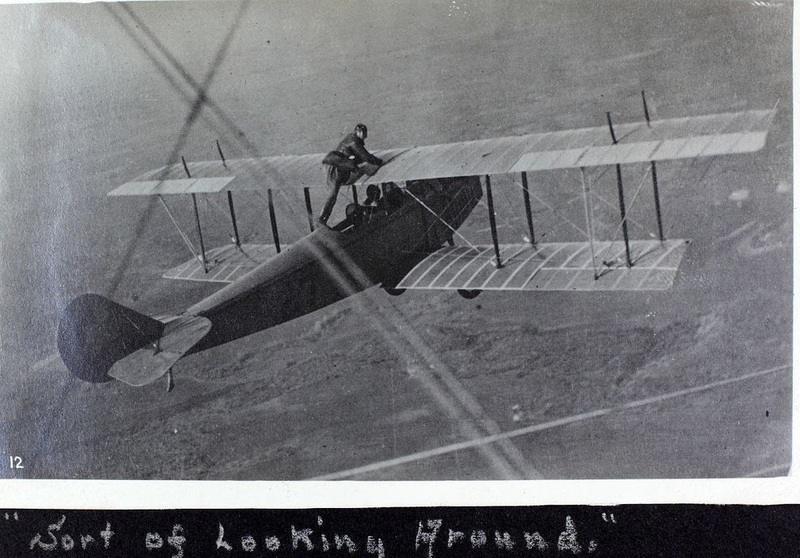 Pilots would simply climb out of their cockpits and stand, sit, or hang from the wings or fuselage. 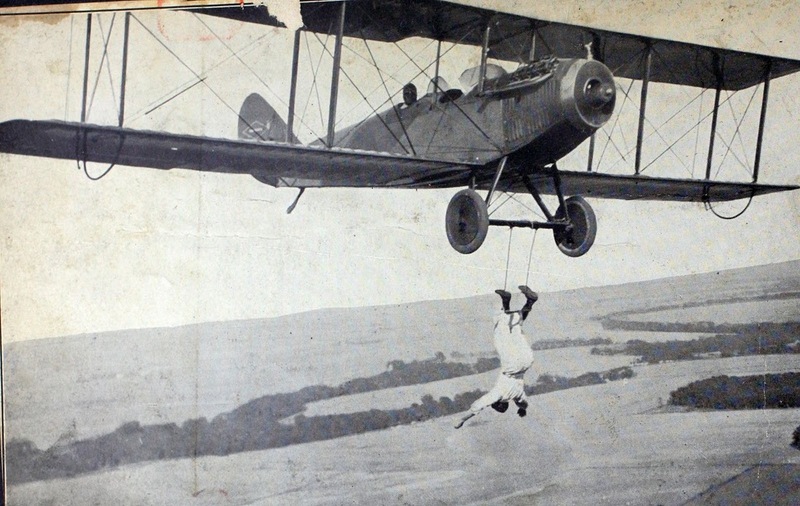 This kind of thing was very popular in stunt shows of the 1920s, though it was being done for fun much earlier. 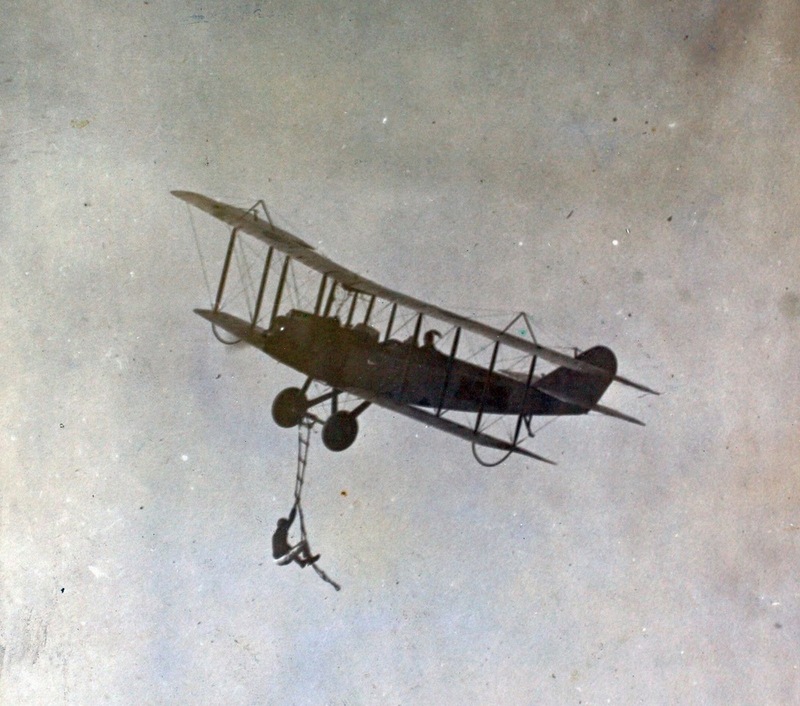 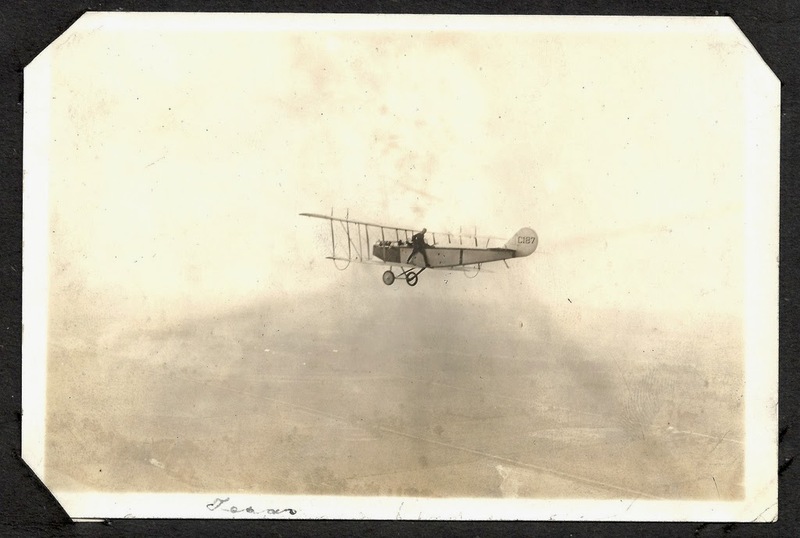 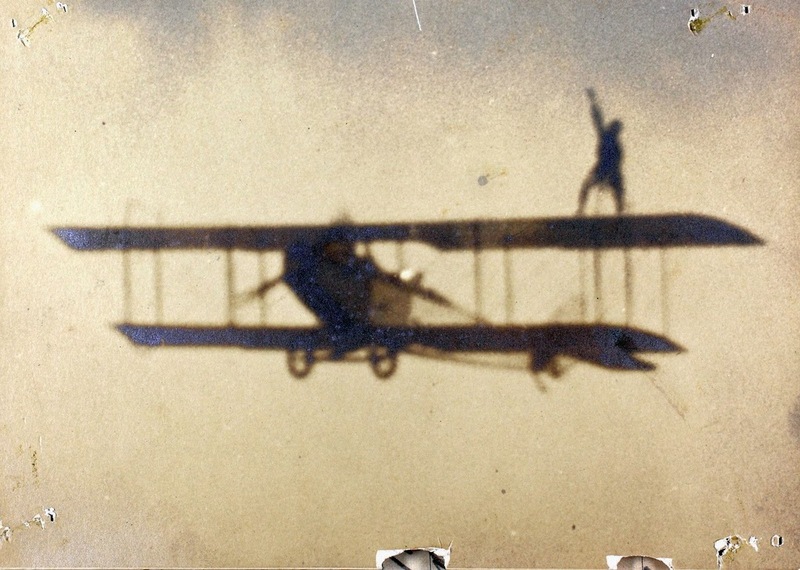 The majority of these photos depict an American barnstormer of the 1920s named Carter Buton, whose antics are documented in scrapbooks temporarily held by the San Diego Air and Space Museum. 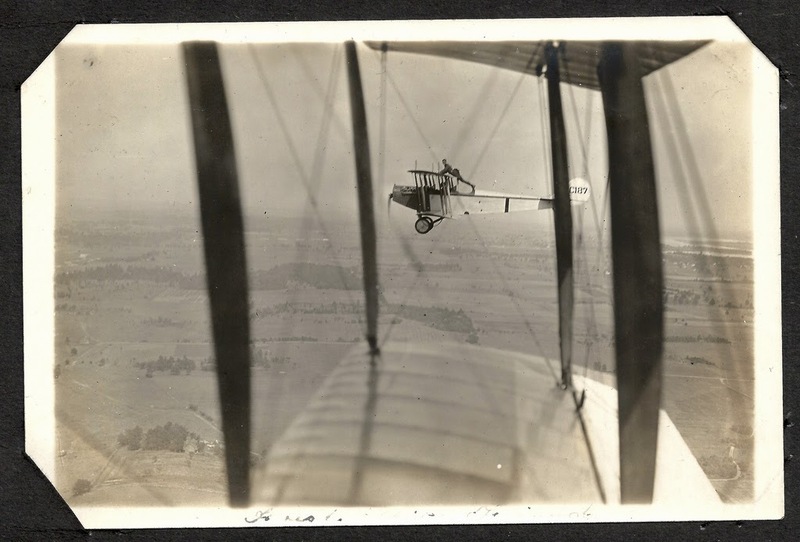 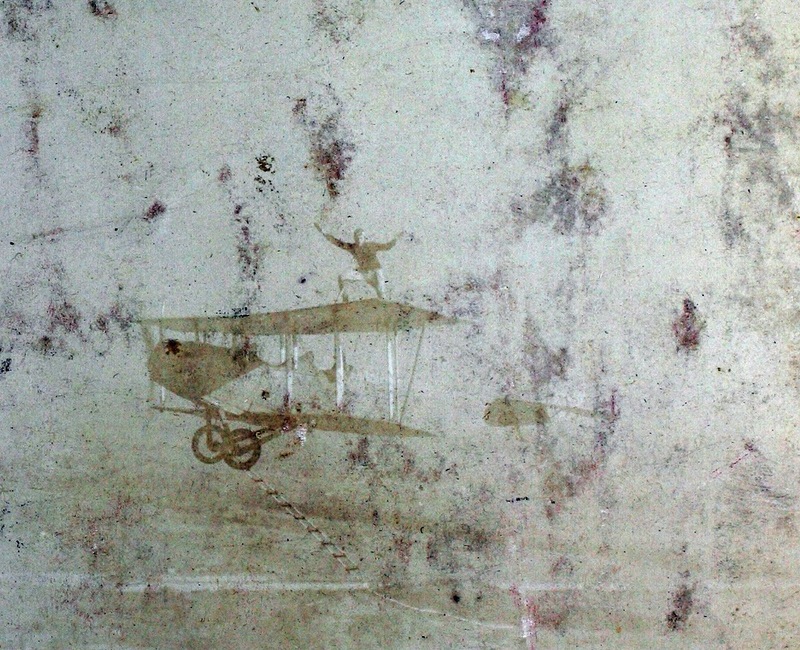 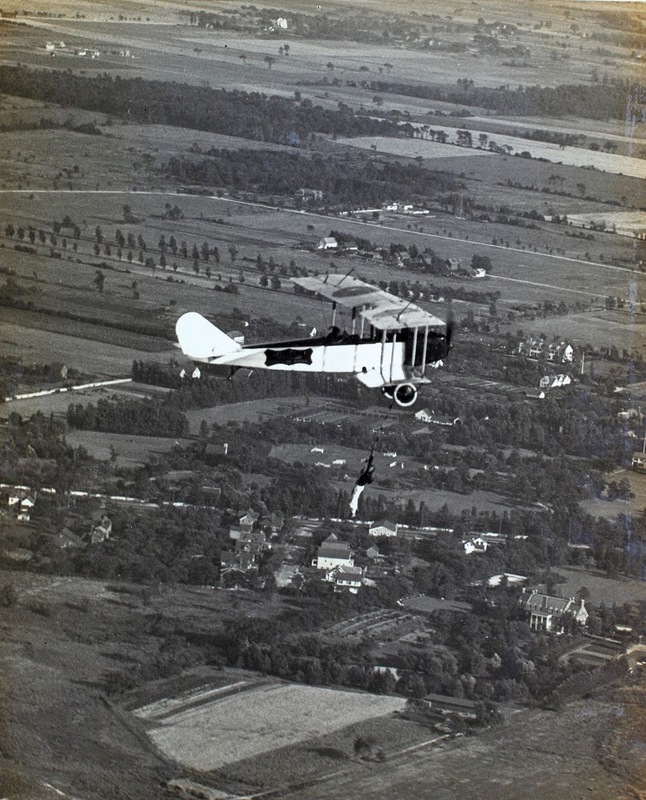 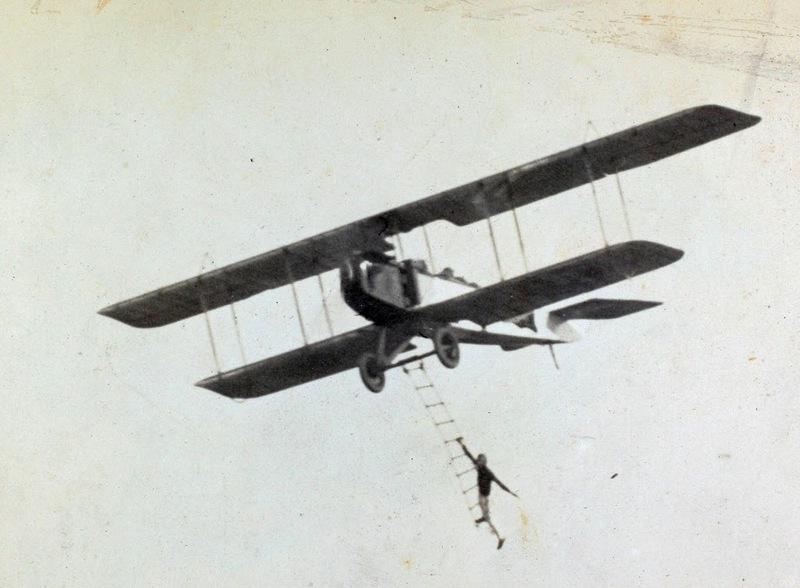 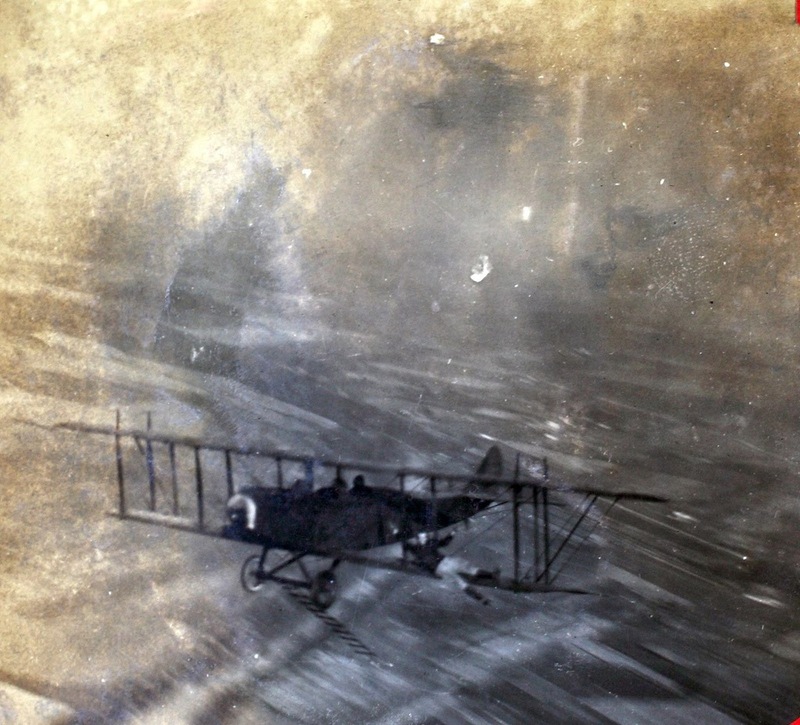 However, the albums of WWI pilots-in-training yield plenty of examples at least as daring, done just for the benefit of fellow pilots, and/or just for the hell of it.